As much as possible, this live touring version of Strictly Come Dancing has been designed to reflect the television talent show, offering audiences their chance to be part of the Strictly experience. The format is a familiar one, with a series of couples undertaking two dances before the judging panel of Len Goodman, Bruno Tonioli and Craig Revel Horwood. Audience participation is essential – particularly as the winner is chosen by text vote at each venue for each performance. This is a product, but it’s a product which works. It’s pure entertainment with the dancers, judges and host Mel Giedroyc playing to the crowd. There is a feeling that many of the judges’ comments are scripted rather than an impromptu response based on the specific performance they have just witnessed but that doesn’t really matter – it’s all part of the show. The scale of the production is huge. The tour opens at Birmingham’s Barclaycard Arena and it will be playing venues of similar size as it heads out on the road. The stage area is vast and many in the audience members are a long way from the action so the two large screens are definitely needed. 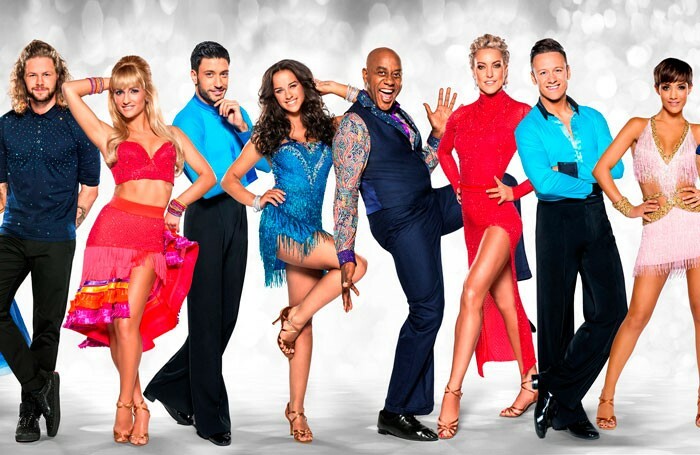 The celebrity dancers – Ainsley Harriott, Jay McGuiness, Jake Wood, Anita Rani, Frankie Bridge, Helen George and Georgia May Foote – have had plenty of opportunity to practice their routines so the dancing is largely of a high standard. The whole thing takes place under massive chandeliers and a ceiling full of glitter balls and the stage is awash with fake tan and sequins. It’s fair to say that Strictly fans are likely to leave feeling all their expectations have been met. The live version of the popular television talent show entertains even if it feels more scripted than impromptu.